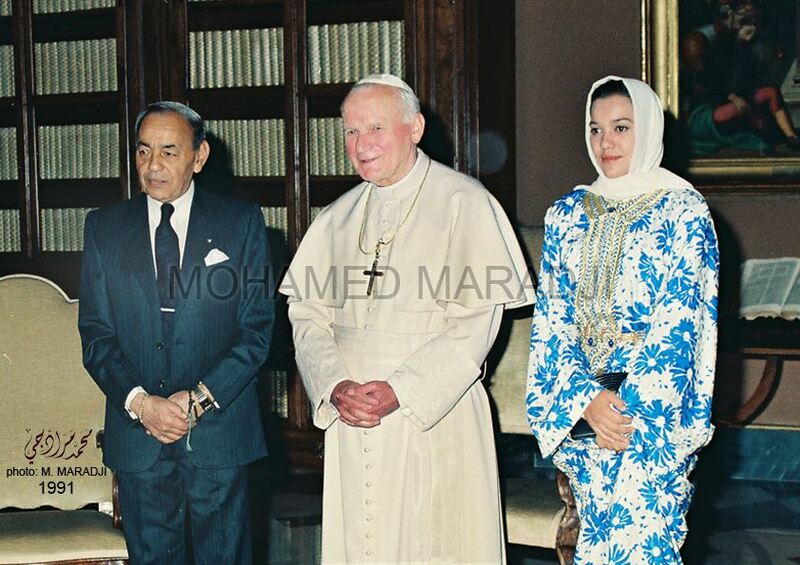 On August 30, 1985, the late Pope John Paul II paid a visit to Morocco at the invitation of late King Hassan II. 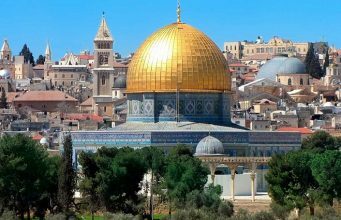 34 years later, Pope Francis is now visiting the country at the invitation of King Mohammed VI. 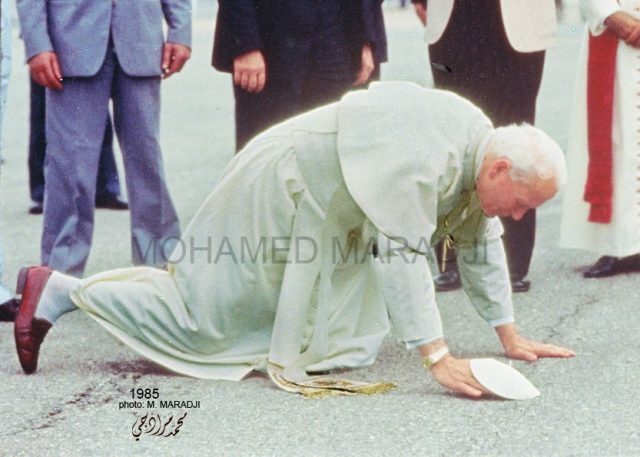 Pope John Paul kneeling to kiss Moroccan soil. 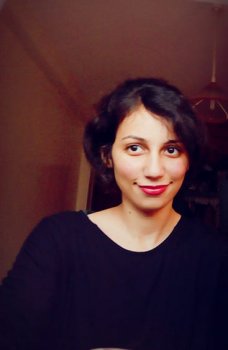 August, 1985. 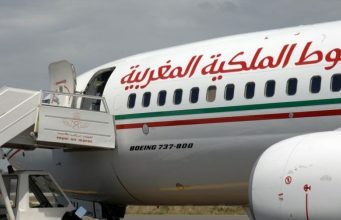 Rabat – As Pope Francis’s arrival in Rabat today marks the second papal visit to Morocco, the event is reminiscent of John Paul II’s visit to the country in 1985—his first to a Muslim country following a direct invitation from its leader. When Pope John Paul II landed at Mohammed VI Airport in Casablanca, he knelt and kissed the Moroccan soil, a humble gesture conveying sentiments of love and tolerance toward the country and its people. 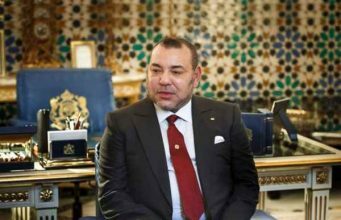 The pontiff was greeted by King Hassan II and King Mohammed VI, who was then Crown Prince. 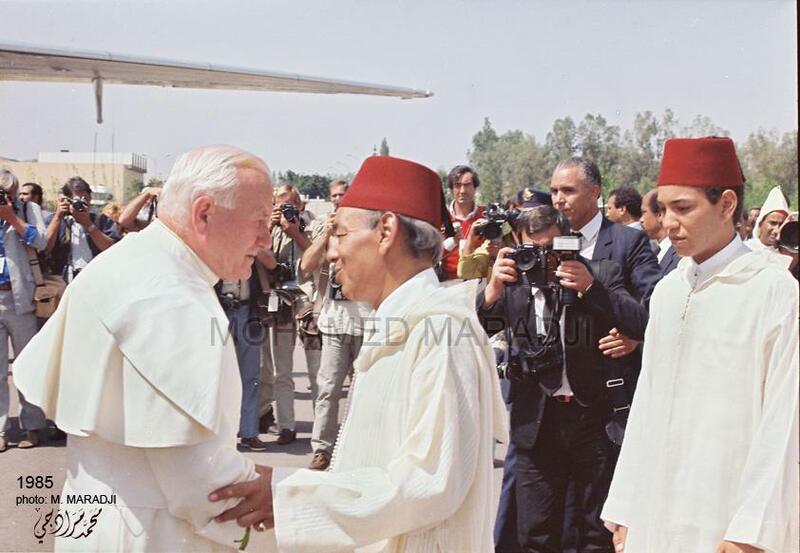 Pope John Paul II’s visit was an opportunity to lay the foundations of the fraternity, mutual understanding, and interfaith bridge that has become a central pillar in the current pope’s repeated calls for dialogue between Muslims and Christians in Morocco. 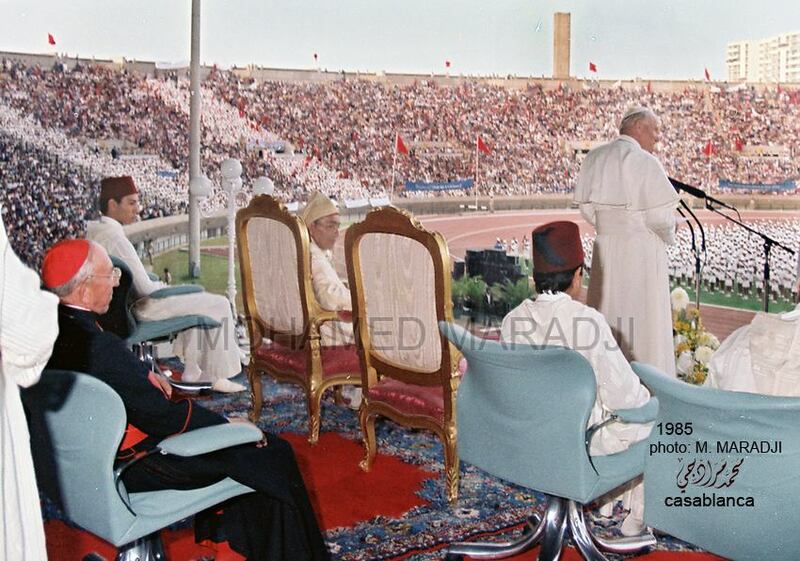 Pope John Paul II then made a speech in front of thousands of Moroccans at the Mohammed V Stadium in Casablanca. 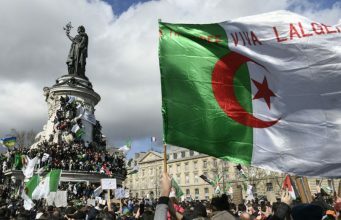 At the time, “Pope John Paul II was concerned about the status of the Church in Morocco and as well as relations with Muslims,” says Vatican News. 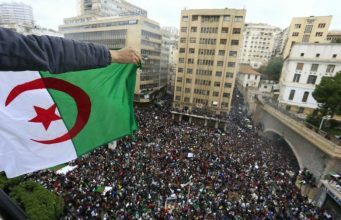 In his speech, the pope preached and praised the tolerance of Moroccans, but he also warned young Moroccans against extremism and violence. 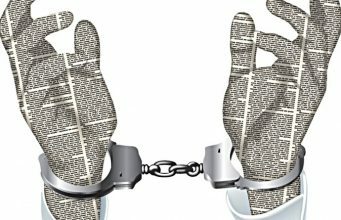 “Wisdom teaches us that self-discipline and love are the sole levers for the desired renewal [of tolerance],’’ he had said. 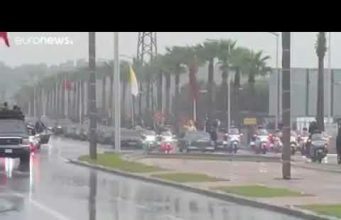 John Paul II also visited the Royal Palace in Casablanca where he a military parade greeted him in the welcoming presence of the Moroccan royal family. 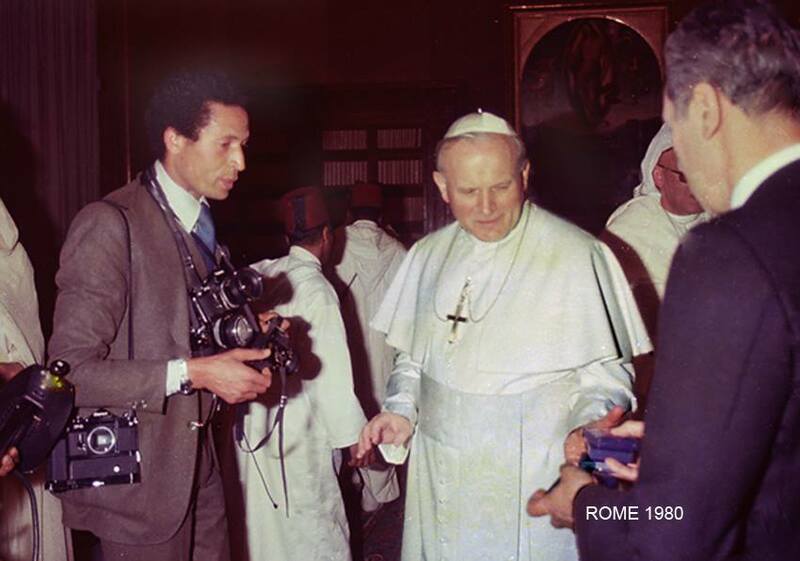 King Hassan II and Pope John Paul II met for the first time in Vatican, Rome. 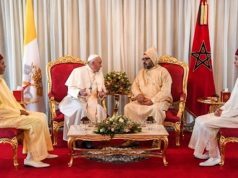 The Pope organized a reception in honor of the king who was accompanied by Princess Lalla Hasna, his youngest daughter. On Saturday, the first day of his two-day stay, Pope Francis began his long-anticipated visit on a rainy day. 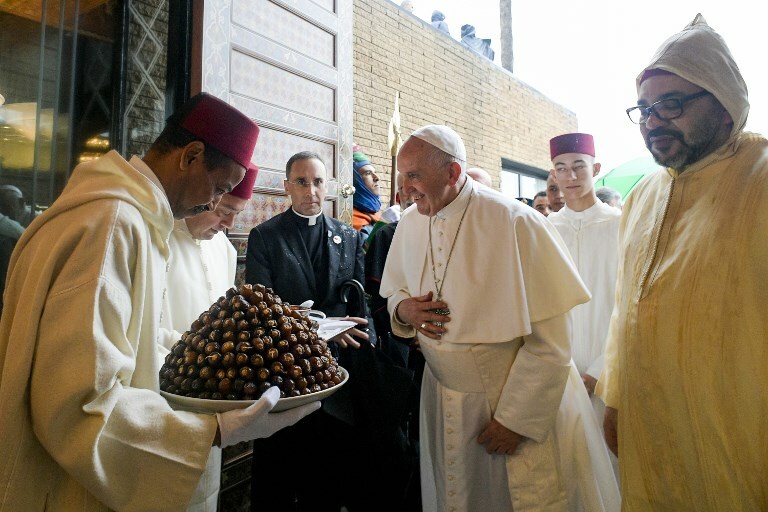 Like they had done with John Paul II, Moroccans welcomed Pope Francis in an atmosphere of warmth and delight. 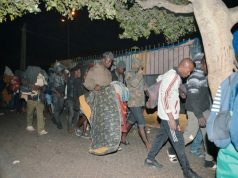 The Pope will visit the Mausoleum of King Mohammed V, the Mohammed VI Institute for the Training of Imams to meet with Islamic scholars and students, and head to the Caritas migrant center, where he will meet with a group of sub-Saharan migrants with whom he will share messages of hope and peace. 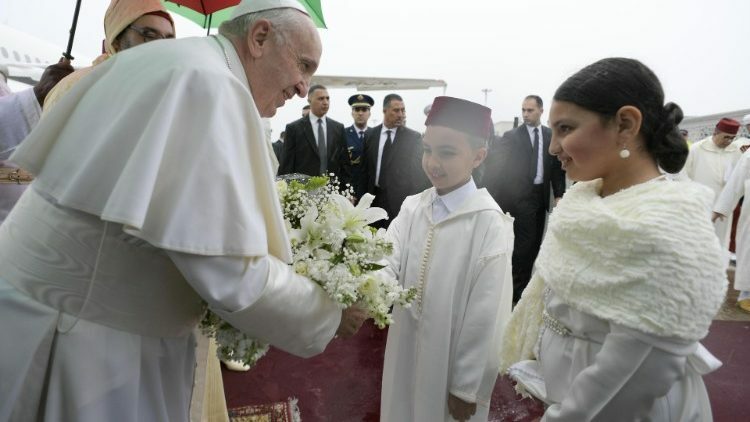 Children welcome Pope Francis in Morocco. March 30, 2019. 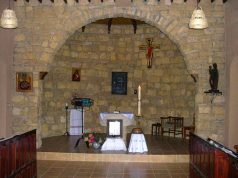 The Pope is also expected to meet with Morocco’s Christian community, including the congregation of Morocco-based bishops. 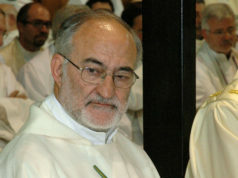 He will end his visit with a papal Mass on Sunday. The pope’s visit is a celebration of our shared humanity and an invitation to cultivate values of forbearance and togetherness.